Who we may share it with. This Notice also describes how we protect your personal information and how to contact us to learn more about our privacy practices. There are two groups of users of our products: Authors and End Users. Authors are individuals or organizations that sign up for Author accounts on www.a2jauthor.org or www.a2j.org and create A2J Guided Interviews®. 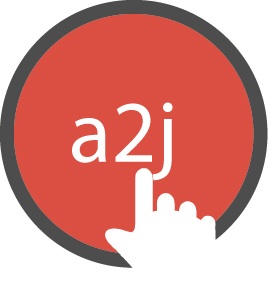 End Users are consumers of A2J Guided Interviews through the A2J Viewer. They may access the A2J Viewer and the A2J Guided Interviews from our websites, www.a2jauthor.org, www.a2j.org, or from other websites that host the A2J Viewer themselves. Cookies: Our site may use web, HTML5, and Flash cookies, or other similar technologies. These allow us to identify your browser and remember your information, settings, and your visits to the site. We may also use other types of local storage, such as browser or plugin based local storage. Most browsers give you the option of enabling, restricting, and disabling cookies. You can control Flash cookies by visiting Adobe’s FlashPlayer Settings or Settings Manager. Note: If you disable cookies, you will not be able to use all the features of our website or our web services. That is because the system needs to remember you to complete your forms and remember the information you provided before. Record the page that referred you to our site, your device’s IP address, and the pages you visit at our site. To control which servers collect information, we may place tags (web beacons) on our page. We also may send software instructions to your device that collect details of your interactions with our site, such as the kind of general information listed above. We use an analytics service run on our own servers to learn how visitors use our site and our A2J Viewer. This service will know your IP address for generalized location information and tell us how you use our site and A2J Viewer. Know if you are a new or returning visitor. If we use your information in other ways, we will notify you when that happens. Our websites use industry-standard security measures to protect data against loss, misuse, and interception by third parties. Our security policies are periodically reviewed and enhanced as necessary. However, CALI and IIT Chicago-Kent assume no liability for interception, alteration, or misuse of information transmitted over the Internet. We may share your personal information with outside service providers, such as software developers we hire to debug or improve our program. These providers may only use or disclose your personal information to provide services to us or comply with legal requirements. We may also share personal information for research, academic studies, data analysis, and reports. Information for these purposes is always aggregated. That means none of the information is linked to a particular person. For example, the data we share may be used to say how many users (not their individual names) live in Florida. We may also share how many people (again not their individual names) visited our site. Specific categories of personal information, such as names, Social Security Numbers, login, and access details. If you get an authoring account on this site through your employer or practice group, we may disclose your personal registration information to your employer or practice group. For some site features, such as filing documents with a court, information sharing is required. If you use those features, you will get a separate notice that explains the privacy terms for those features. If you ask us to share your information, for example, you may ask us to send a form to the court. If our business structure changes - if we sell or transfer some or all of our business or assets, such as during a reorganization, dissolution, or liquidation, we may transfer your personal information to a third party. But that third party must agree to protect your personal information according to the terms of this Notice. You may change your personal information on the profile page for your account(s) at the site. Our site lists links to other websites that are not part of our organization. We list those links to make it easier for you to get information at their sites. We do not have control over the content or privacy policies at those sites. It is a good idea to look at the Privacy Notices of those websites before you use them.